This new book presents a unified theoretical treatment, which is complete and rigorous but nonetheless readable. The theoretical treatment requires a variety of mathematical and physical tools. To keep the main text uncluttered, these tools are developed in comprehensive Appendices to which cross-references are made in the main text. These Appendices also ensure that the main text is useful to readers with a wide variety of scientific backgrounds and experience. These include not only spectroscopists, but also chemists, physicists, biochemists and analytical chemists. The presentation is such that postgraduate and postdoctoral students as well as more established research workers will find it valuable. The author was formerly Professor of Structural Chemistry and Director of the Molecular Spectroscopy unit in the University of Bradford. He is distinguished for his original scientific work in a number of areas of Raman spectroscopy. 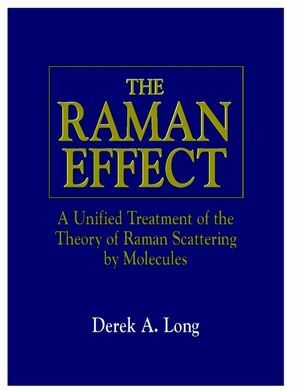 His book, 'Raman Spectroscopy', published in 1978 and long out of print, was highly successful. He has been co-editor of many books including the Specialist Reports on Molecular Spectroscopy, published by the Royal Society of Chemistry; he retired as Editor-in-Chief of the Journal of Raman Spectroscopy in December 1999. Derek Long is a former professor of structural chemistry at the University of Bradford, working in the field of Raman spectroscopy.